Judicial use of Wikipedia and what constitutes the “gist” of a magazine article about an alleged “welfare queen”—these are the key topics tackled by the Texas Supreme Court in its March 17, 2017 opinion in D Magazine Partners, L.P. v. Rosenthal, No. 15-0790 (available at 2017 WL 1041234). 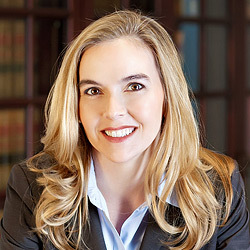 Justice Lehrmann, writing for the Court, addressed these issues in the context of the magazine’s motion to dismiss a defamation lawsuit by a private citizen, pursuant to the Texas Citizens’ Participation Act (“TCPA”), also known as the Texas anti-SLAPP (Strategic Lawsuit Against Public Participation) statute. The expressed purpose of the TCPA is “to encourage and safeguard the constitutional rights of persons to petition, speak freely, associate freely, and otherwise participate in government to the maximum extent permitted by law and, at the same time, protect the rights of a person to file meritorious lawsuits for demonstrable injury.” Tex. Civ. Prac. & Rem. Code § 27.002. Thus, the TCPA gives a person sued for that person’s exercise of the constitutional right of free speech (e.g., the press) the right to seek dismissal of the legal action and to recover its attorneys’ fees, unless the plaintiff can establish a prima facie case for each element of her claims by clear and specific evidence. D Magazine published the article in question, both in print and online, in March 2013. The article appeared under the heading “CRIME” and with the title “THE PARK CITIES WELFARE QUEEN.” The subheading of the article identified Rosenthal as a “University Park Mom” who “has figured out how to get food stamps while living in the lap of luxury.” The article prominently featured Rosenthal’s mug shot from a prior, unrelated arrest. The Texas Health and Human Services Commission administers the Texas food stamp program, now called Supplemental Nutrition Assistance Program (SNAP) benefits. D Magazine did not contact the Commission for comment before it published the article. D Magazine did contact Rosenthal, but she did not comment. After she read the article, Rosenthal contacted the Commission to inquire whether she had committed any wrongdoing in obtaining SNAP benefits. The Commission investigated and concluded it had no evidence that anyone had fraudulently obtained or otherwise abused state benefits. Rosenthal sent the letter to D Magazine. She then filed her lawsuit, asserting defamation, DTPA violations, and violation of the Identity Theft Enforcement and Protection Act. D Magazine moved to dismiss the lawsuit under the TCPA, and the trial court granted the motion as to all claims but the defamation claim, concluding Rosenthal had presented a prima facie case of the elements of defamation. D Magazine took an interlocutory appeal, and the court of appeals affirmed. The Texas Supreme Court then granted review. To consider D Magazine’s appellate complaints, the Court first discussed the framework of a defamation claim by a private citizen against a media defendant. The elements of such a claim are: (1) the defendant published a false statement; (2) that defamed the plaintiff; (3) with the requisite degree of fault regarding the truth of the statement (negligence if the plaintiff is a private individual); and (4) damages (unless the statement constitutes defamation per se). Because of the importance of cultivating and protecting freedom of expression, Rosenthal had the burden to prove falsity if the alleged defamatory statements were made by a media defendant over a matter of public concern. In determining whether the article was capable of a defamatory meaning, the Court had to examine its “gist.” This means the Court had to look at the article as a whole, in light of the surrounding circumstances, based on how a person of ordinary intelligence would perceive it. D Magazine contended the “gist” of the article was about the Commission’s decision to give SNAP benefits to a person living in an expensive home in a wealthy school district despite a criminal history of theft. Rosenthal contended the article’s gist was that she defrauded the Commission to obtain SNAP benefits. D Magazine’s first appellate challenge was to the court of appeals’ reliance on Wikipedia to ascertain the meaning of the term “Welfare Queen” as used in the article’s title, as part of its “gist” analysis. The Texas Supreme Court discussed numerous authorities, which advocated both for and against judicial reliance on Wikipedia as a source to support court rulings. The article discussed Rosenthal’s address in University Park as one “on the tax rolls for $1.15 million,” noted that the home was owned by a man Rosenthal had identified as her fiancé, and noted that a Facebook photo showed Rosenthal wearing a diamond ring; but, the article asserted Rosenthal left blank the part of her SNAP application requiring identification of people who gave her gifts or paid her bills. The article noted Rosenthal’s prior, “numerous theft-related arrests and convictions” and concluded that, even if Rosenthal had disclosed these, she could have gotten benefits because the Commission checks only for felony drug convictions. Although the article never expressly accused Rosenthal of lying to the Commission or fraudulently obtaining benefits, the Court held that, viewing the article as a whole, a reasonable person could perceive it as accusing Rosenthal of providing false information to the Commission (either affirmatively or by omission) to obtain SNAP benefits to which she was not entitled. A reasonable person “could certainly conclude” that an article under the heading “CRIME” was in fact about the commission of a crime. Further, the article juxtaposed facts that strongly implied wrongdoing. Thus, a reasonable view of the article’s “gist” was that Rosenthal fraudulently obtained SNAP benefits. The Court held that Rosenthal had presented a prima facie case of each of the elements of her defamation claim, including falsity and negligence in publishing the article. Because the article could reasonably be construed to accuse Rosenthal of a crime, it was defamatory per se (relieving Rosenthal of the burden to prove actual damages). Proof of a prima facie case (and also D Magazine’s failure to prove any viable defense) meant the trial court properly denied D Magazine’s TCPA motion to dismiss the defamation claim.